Clinics designed especially with young athletes in mind teach children while they have fun. Tennis teaches young athletes valuable skills, gets them active, and, most importantly, is a lot of fun. 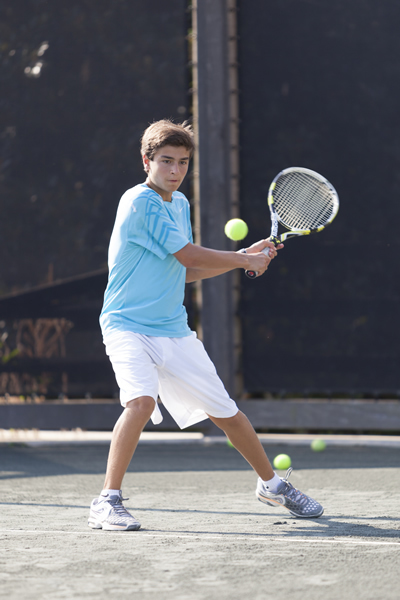 Young tennis players learn agility and balance at the Sea Island Jensen Brothers Tennis Academy. A few minutes spent observing the Sea Island Jensen Brothers Tennis Academy will immediately open eyes to a new side of the centuries-old sport. With an experienced staff working with young players to improve their game at a variety of levels, it isn’t difficult to believe the studies that have shown tennis participation to improve brain function. The young athletes move across the courts displaying agility, balance and strength, and, perhaps most importantly, they are having some serious fun. 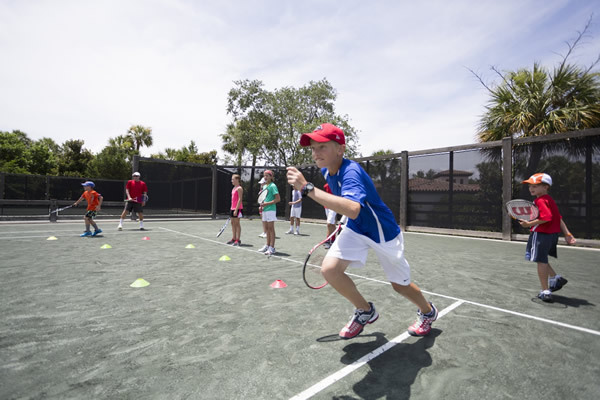 The Academy’s lessons and clinics align with the United States Tennis Association’s (USTA) recent emphasis on junior play for fun as well as for high-performance player development. This makes the sport an engaging activity for young athletes that parents can get behind. Those achievements have been shown to transcend the court. The USTA points out that tennis can help kids learn sportsmanship, discipline and work ethic, as well as give them healthy avenues for social interaction. Additionally, the International Tennis Federation lists teamwork, strategy and stress management among skills learned from the sport that can be applied to other areas of life. That focus on fun and fitting participants’ needs is evident in each of the Academy’s programs, which are helmed by the legendary Murphy and Luke Jensen, known for capturing the 1993 French Open doubles title as an unseeded team. The brothers’ arrival in 2012 marked a sea of change: “The tennis program has been totally re-energized under Murphy and Luke,” explains Esther Farnham, who, along with her husband, recently purchased a house on Sea Island, in no small part because of the opportunities for a “tennis family” like hers. While Farnham enjoys the lessons, clinics and play herself, she is an even bigger fan of the fact that her daughter and two sons have taken up the sport. In addition to the rock ’n’ roll energy that’s been contagious among Sea Island’s tennis players young and old, the seasoned Jensen brothers also bring their coaching expertise. Luke was most recently the head coach of women’s tennis at Syracuse University, leading the team to its most successful season in the program’s history in 2009-2010. Murphy continues as the three-time Coach of the Year for the Washington Kastles, winners of five of the last six Mylan World TeamTennis championships. Those connections are how young players can find themselves hitting on courts alongside tennis celebrities like Kastles player Martina Hingis, touring pros taking a few days from the grind to retool their game, and top college athletes and prospects. While the Jensens are the marquee names at the Academy, the program’s staff, including head tennis pro Frank Solana, brings individual strengths so that young players get comprehensive training. “We cater to every kid,” explains Solana, who has hopes of the program molding a future grand slam champion or two. The 50 to 100 children attending the Academy during a typical summer week are broken into the general groups of “tykes,” “rising stars” and “elite” players. Lesson plans accommodate players ages 4 through 18, with special attention to a new USTA initiative that provides guidelines for kids under the age of 10. Created to help turn young participants into lifelong fans, the initiative dictates that these children play on smaller courts with smaller rackets and balls of different densities to encourage more rallies. “There are very few places with such skilled professionals with such diverse backgrounds,” Farnham says of Sea Island’s tennis program. In particular, she admires the emphasis placed on junior clinics offering a 1-6 ratio (or better) of teachers to students, giving all kids the attention they need and deserve. Farnham’s children have learned about both swing and footwork, and enjoy staying mobile during sessions—rather than standing and waiting to practice, as can be the case in any program for kids aiming to learn a new skill. All of these factors are crucial in fostering interest and the desire to continue—not to mention, a memorable and fun experience for all young athletes. Sea Island’s Lifestyle and Tennis Boutique has all the essentials for those looking to hit the courts. 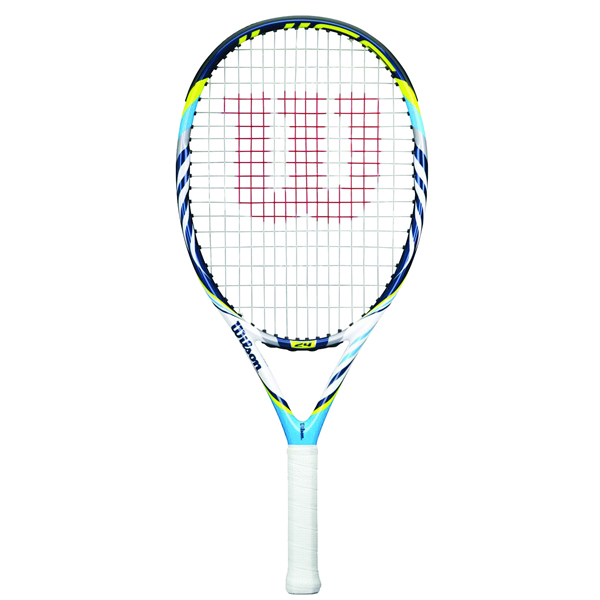 For young tennis players in particular, equipment manufacturer Wilson offers a full line of outstanding rackets to fit all levels, including a wide range in junior sizes. Generally, a racket that spans the distance from the fingertip to the ground while the child stands upright is the right size. The boutique’s staff can help with these measurements and any other details that will maximize your young athlete’s experience. 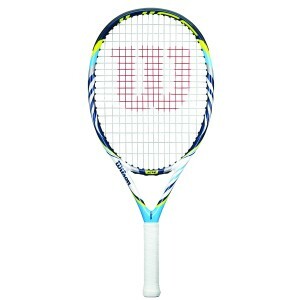 Highlights among Wilson’s line of high-performance junior rackets are those in the Juice series (the choice of former world No. 1 Victoria Azarenka) at 22, 25 and 26 inches of length; and junior versions of the Pro Staff line (of which Roger Federer is a known fan), at both 25 and 26 inches.